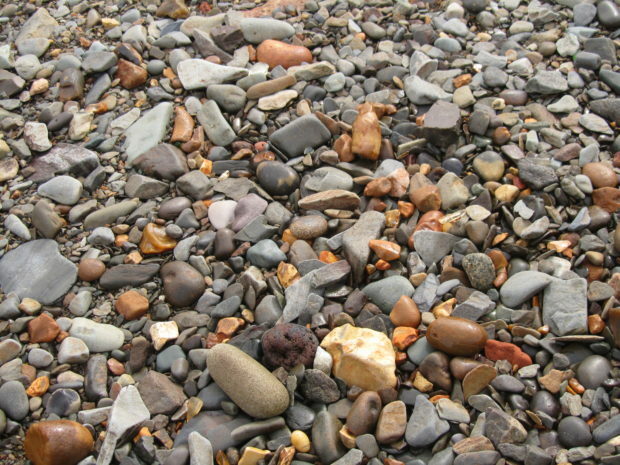 Along the shores in Newfoundland there is an abundance of flint to be found although this material does not occur naturally in the area. The reason for the presence of flint is that it was used as ballast by sailing vessels in the transatlantic migratory fishery that started in the beginning of the sixteenth century and lasted for about four centuries. During this period several millions of tons of material were relocated as ballast from the coasts of England and France to Newfoundland. Ballast flint at Hant’s Harbour. Photo: Mats Burström. Among this huge amount of relocated material there are some supposedly Palaeolithic artefacts that have been brought over from Europe. It is, however, not always easy to determine whether a specific piece is a prehistoric artefact of European origin or if it is a Native (Beothuk) tool made from European ballast. This is, for example, the case with a bifacially worked side scraper from a shore site at Grandois on the Northern Peninsula. 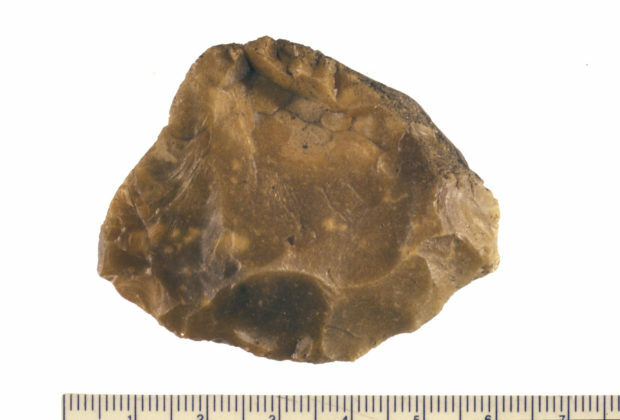 It has been interpreted as a Beothuk tool worked in European ballast flint, sometime between 1500 when Europeans turn up in Newfoundland and about 1600, when Native people replaces lithics with reworked European iron. An alternate explanation, suggested by Peter E. Pope, the archaeologist who found the artefact, is that it may be a Palaeolithic tool of European origin. Either way, it illustrates how of ballast creates cultural connections across time and space. Flint scraper found on a beach in Grandois. Photo: Peter E. Pope. The ballast traffic left other lasting marks. According to the Swedish entomologist Carl Lindroth, ‘It can be stated, without any exaggeration, that Newfoundland more than any other part of Nort America has received an introduced element of animals and plants from Europe’ (1957, p. 147, italics in original). This applies in particular to the nineteen introduced species of Carabid beetles found on the eastern coast, the Avalon Peninsula, where the fishing trade was almost exclusively concentrated. The ‘European’ species accompanied the ballast and when it was dumped on the shore the animals and plants found a new home. 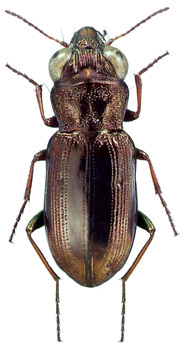 The Carabid beetle Notiophilus biguttatus. Its occurrence in North America is a result of the transatlantic migratory fishery. Photo: Canadian Biodiversity Information Facility. Ballast, the material that once was used to stabilize sailing vessels, may now contribute to destabilizing conventional conceptions of cultural connections in the past and the ways in which they manifest themselves in the present.